The disgraceful and embarrassing situation regarding St Mary’s House, Norwich continues with a new company taking over disability assessments. 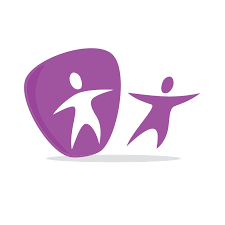 On 1st March Maximus, a foreign owned outsourcing company take over the contract for carrying out the notorious Work Capability Assessment (WCA). They take over this failed service from Atos in the same inaccessible building in Duke St, Norwich. 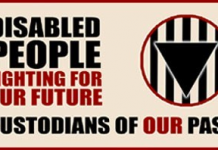 Disabled campaigners and our supporters will be demonstrating between 12.30 – 1.30pm on Monday 2nd March outside St Mary’s House against this double gross injustice. Maximus, a company with a history of disability discrimination and improper practices, will be paid more than double what Atos was for the contract. Meanwhile very little will have changed: Maximus will be using the same building which is not accessible to disabled people. Many staff will remain the same as they move across from Atos and, most significantly, the fundamental flaws of the assessment which tests functionality as opposed to employability will continue. In the words of Ian Drury – What a waste! I am referring to the exclusion of disabled people in society and the attitudes and behaviours of Government, both local and national, towards us. As a society we need to turn our approach to disability in its head. This Government has initiated a poisonous discourse in order to justify targeting disabled people through austerity. By the 2015 election, more than £28bn in benefits and entitlements will have been taken away from disabled people. 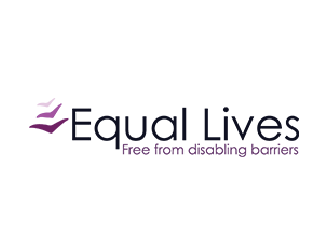 At the same time, disabled people are twice as likely to live in poverty as non-disabled people. In Austerity Britain, where the Prime Minister and Chancellor of the Exchequer continue to claim “We are all in this together”, disabled people will pay 9 times more towards reducing the budget deficit than the average citizen. Those who are severely disabled will pay nineteen times more. We are not benefit scroungers or burdens, we are not too expensive or units of costs that we as a society cannot afford, we are not brave, courageous or ‘special needs’. We are human beings like everybody else. If you cut us we bleed. You call us names and bully us, we hurt. You pity us and stick us in the charity box, we behave like charity cases. You segregate us in separate institutions and we become institutionalised. You do everything for us and wrap us in cotton wool then we become dependent. You have low expectations of our abilities and you damage our growth and development. So what is to be done to address this waste? It is our responsibility – all of us – to remove these barriers. The barriers are ‘man made’ so it is our responsibility to break them down and consign them to history together. Disabled people can’t do this by ourselves we need allies. 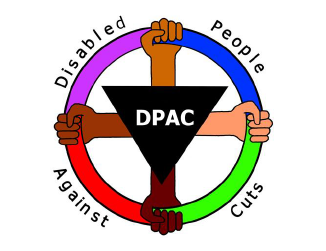 We need non-disabled people to get along side us and not accept the apartheid lives many disabled people are forced to live. We need disabled and non-disabled to be passionate about disability equality just like we are about women’s, racial and sexuality equality. 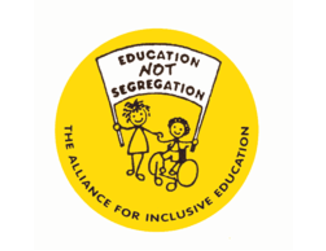 This provides a comprehensive road map for achieving disability equality – let’s implement it.